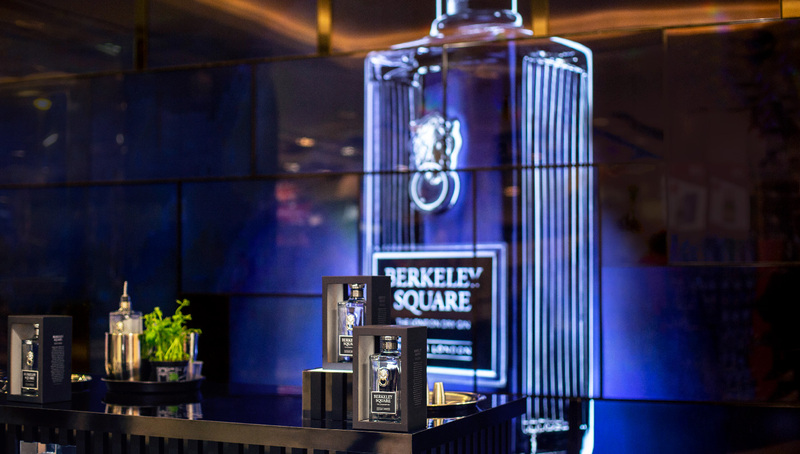 Identica were challenged to create an event for Berkeley Square to support the exclusive Global Travel Retail launch to get people talking about, and buying, the brand. Travel Retail is a busy and crowded environment, so to create cut through we needed to engage our audience with something to stop them in their tracks and make them want to engage with the brand. 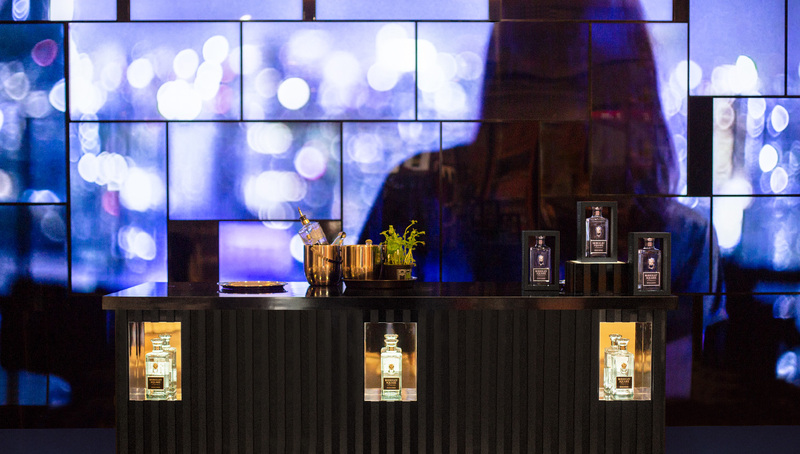 Our approach was to take over a large area in the Duty Free store of Gatwick airport and create a space that had all the sophistication and elegance of an exclusive venue to showcase the brand’s natural habitat. We created minimally branded pillars where the bottles were displayed as individually lit up as works of art, rather than crowded onto shelves. We created a bar in the central area so barmen could create the perfect serve for travellers to experience. Behind the bar area we took over the huge screen with a branded video reminding both locals and travellers of the wonders and excitement of London by night. Because there are many potential customers who might not want to purchase there and then we directed interested customers to the new website that we created which directed them on to other routes to purchase.